622 North 7th Street has a Walk Score of 95 out of 100. This location is a Walker’s Paradise so daily errands do not require a car. 622 North 7th Street is a three minute walk from the MLB MetroLink Blue Line and the MLR MetroLink Red Line at the CONVENTION CENTER METROLINK STATION stop. This location is in the Downtown neighborhood in St. Louis. 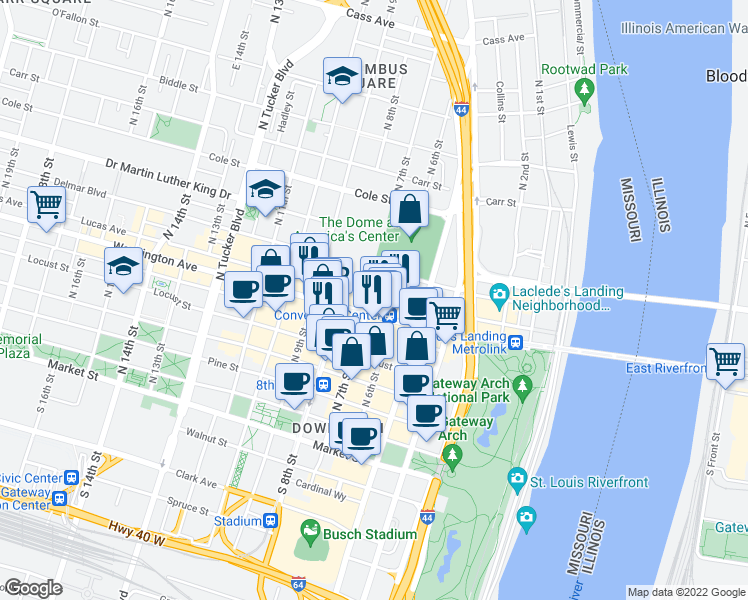 Nearby parks include Edward Jones Dome, Columbus Square Park and Jefferson National Expansion Memorial. Explore how far you can travel by car, bus, bike and foot from 622 North 7th Street. 622 North 7th Street is in the Downtown neighborhood. Downtown is the most walkable neighborhood in St. Louis with a neighborhood Walk Score of 89.